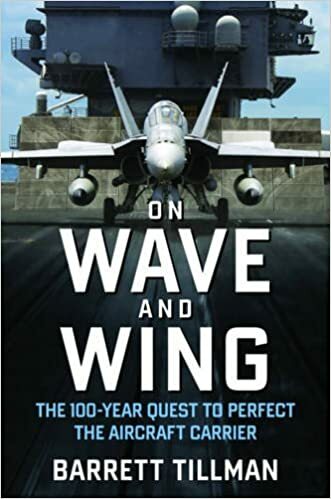 The following article on the end of the Vietnam War is an excerpt from Barrett Tillman’s book On Wave and Wing: The 100 Year Quest to Perfect the Aircraft Carrier. It is available to order now at Amazon and Barnes & Noble. Beset at home and abroad, in 1968 Lyndon Johnson decided against running for re-election. In March he banned bombing north of the twentieth parallel, leaving most of North Vietnam a sanctuary. He was succeeded by Republican Richard M. Nixon, who largely limited offensive air operations over the North for nearly four years. One example will suffice: from 1965 through 1968 Navy aircrews downed thirty-three enemy aircraft, but over the next three years tailhookers splashed only one. Meanwhile, “peace talks” trickled out in Paris. The end of the Vietnam War was in sight. Then, on March 30, 1972, Hanoi launched a full-scale conventional attack against South Vietnam, shattering the dead-end Paris “peace talks.” American airpower responded massively. Leading Constellation’s Air Wing Nine was Commander Lowell “Gus” Eggert, a cheerful aviator who enjoyed partying with his aircrews. Eggert’s keen intuition told him the 1971–72 cruise might be different from the previous three years. He began training his squadrons for large “Alpha” strikes in addition to the usual close air support in South Vietnam and Laos. “Connie” completed her six-month deployment, and on April 1 she was in Japan preparing to return to California, when the North Vietnamese spring offensive rolled south. Sailors and aircrews hastily offloaded their new purchases—notably motorcycles—and began loading ordnance. 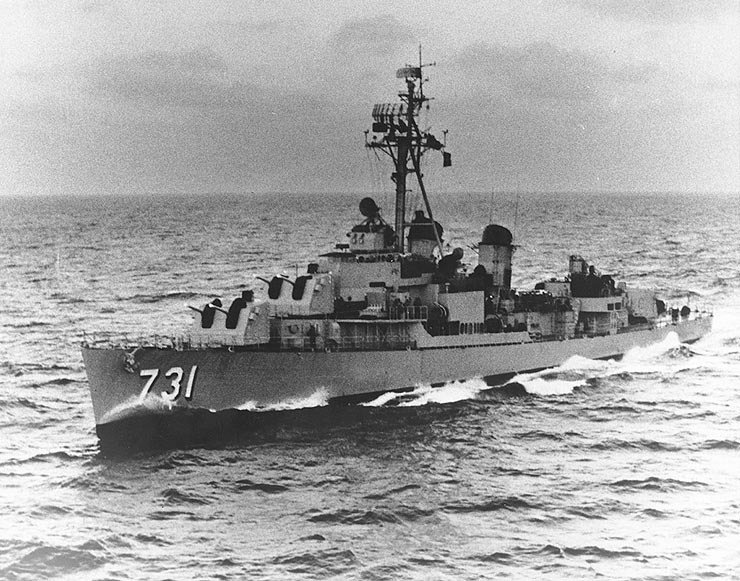 The ship was back in the Tonkin Gulf five days later, joining Hancock, Coral Sea, and Kitty Hawk. By then the communists had beefed up their air defenses, and on one mission over South Vietnam an Intruder pilot had to abort his attack because a cloud of tracers obscured the reticle of his bombsight. On May 9 a handful of aircraft demonstrated the carrier’s potential for strategic effects with extreme economy of force. While Kitty Hawk provided a diversionary strike, Coral Sea launched nine jets that turned the war around in two minutes: six Navy A-7Es and three Marine A-6As laid three dozen mines in Haiphong Harbor. The weapons were time-delayed to allow ships to leave North Vietnam’s major port. During the next three days, thousands more mines were sown in Hanoi’s coastal waters, effectively blockading the communists from seaborne replenishment. Commander Roger Sheets’s Air Wing Fifteen, on its seventh Vietnam deployment, shut down Haiphong for almost a year—well beyond the impending “peace” treaty. The mines were frequently replenished, eventually totaling more than eleven thousand weapons. Sometimes the “reseeding” involved unconventional tactics, as when Saratoga’s Air Wing Three employed Phantoms flying formation on Intruders and Corsairs in what one F-4 pilot called “a one-potato, two-potato” drop sequence, based on when the attack jets released. 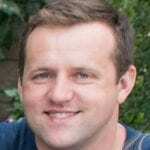 Finally Phantom crews could ply their trade again. From January 1972 through January 1973, carrier-based F-4s claimed twenty-five aerial kills—nearly as many as the Navy total in the first six years of the war. The tailhookers’ best day was May 10. That morning a twoplane VF-92 section off Constellation trolled Kep Airfield and caught two MiG-21s taking off. The high-speed, low-level chase ended with one MiG destroyed which, with the Air Force bombing the Paul Doumer Bridge in Hanoi, sparked an exceptional response. That afternoon “Connie” launched thirty-two planes against Hai Duong logistics, producing one of the biggest combats of the war with Phantoms, Corsairs, and MiGs embroiled in a “furball” of maneuvering jets. When it was over, two F-4s fell to flak and SAMs while VF-96 claimed six kills, producing the Navy’s only ace crew of the war. In all, the Navy and Air Force downed a dozen MiGs, which remains an unsurpassed one-day total more than forty years later. During Operation Linebacker—the final air campaign over North Vietnam, signally the end of the Vietnam War—American aircrews claimed seventy-two aerial kills versus twenty-eight known losses to MiGs, an overall exchange ratio of 2.5–1. However, the Navy’s intensive fighter training program from 1969 onward produced exceptional results. “Topgun” graduates and doctrine yielded twenty-four MiGs against four carrier planes lost, including a lone Vigilante escorted by fighters. In contrast to the Navy’s 6–1 kill ratio, the Air Force figure was closer to 2–1, approaching parity in some months. Throughout the war and up to the end of the Vietnam War, naval aviators shot down sixty enemy aircraft—all by carrier pilots. It was a stark contrast to Korea when barely a dozen communist planes were credited to tailhookers among fifty-four total by Navy and Marine pilots. In fact, the reason for carrier-based fighters was to establish air superiority so the attack planes could perform their vital mission. Skyraiders, Skyhawks, Intruders, and Corsairs seldom worried about enemy aircraft while placing ordnance on target the length and breadth of Indochina. Few aircrews and probably few admirals realized how far carrier aviation had come since the start of World War II. Long gone was the era when airpower theorists insisted that sea-based aircraft could not compete with land-based planes. If nothing else, Vietnam confirmed that naval aviation was a world-class organization. On two days in October 1972, Commander Donald Sumner led USS America (CVA-66) A-7 Corsairs against Thanh Hoa Bridge, a vital communist transportation target. One of his pilots, Lieutenant Commander Leighton Smith, had first bombed the bridge as a Coral Sea A-4 pilot in 1966. The Air Force had badly damaged “The Dragon’s Jaw,” but spans remained intact. With a combination of two thousand-pound TV-guided weapons and conventional one-ton bombs, the naval aviators finally slew the long-lived dragon, more than seven years after the first U.S. efforts. 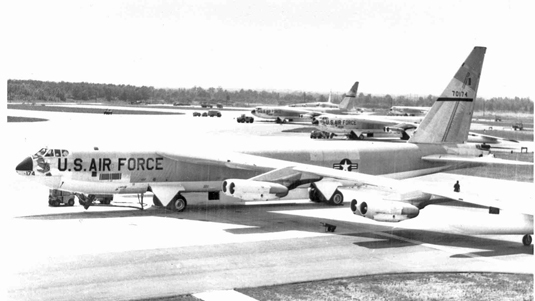 During the eleven-day “Christmas War” of 1972, carrier aircraft again supported B-52s in bombing an intransigent Hanoi back to the bargaining table. By then Hanoi was nearly out of SA-2 missiles. The Paris accords among Washington, Saigon, and Hanoi took effect January 27, 1973. They were the diplomatic efforts that signaled the end of the Vietnam War. On that day Commander Harley Hall, a former Blue Angel leader and the commander of an Enterprise F-4 squadron, became the last naval aviator shot down in the long war. His Phantom fell north of the Demilitarized Zone, and though his back-seater survived captivity, Hall did not. Long thereafter his widow learned that he had probably lived two or more years in captivity, abandoned by his government with unknown numbers of other men. 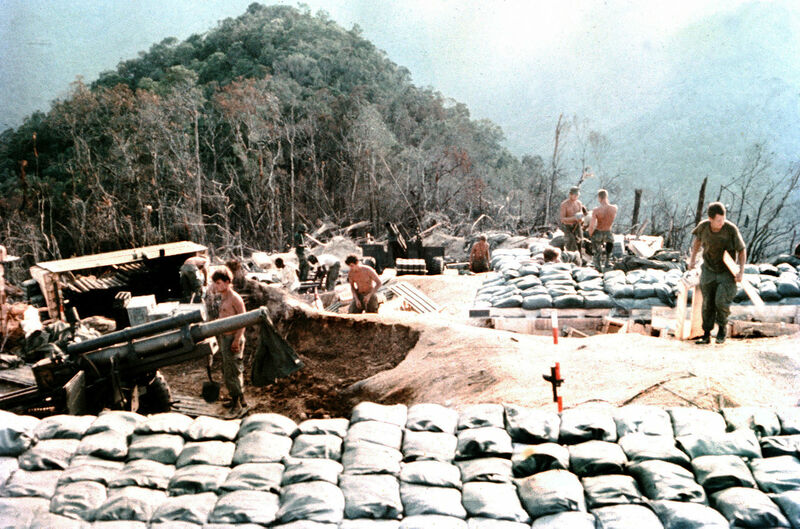 This post is part of our larger educational resource on the Vietnam war. 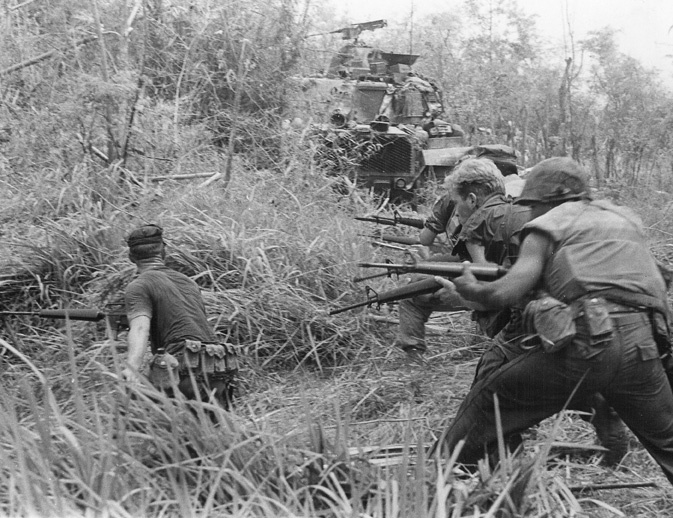 For a complete history and overview of the Vietnam War, click here. This article on the end of the Vietnam War is an excerpt from Barrett Tillman’s book On Wave and Wing: The 100 Year Quest to Perfect the Aircraft Carrier. It is available to order now at Amazon and Barnes & Noble.